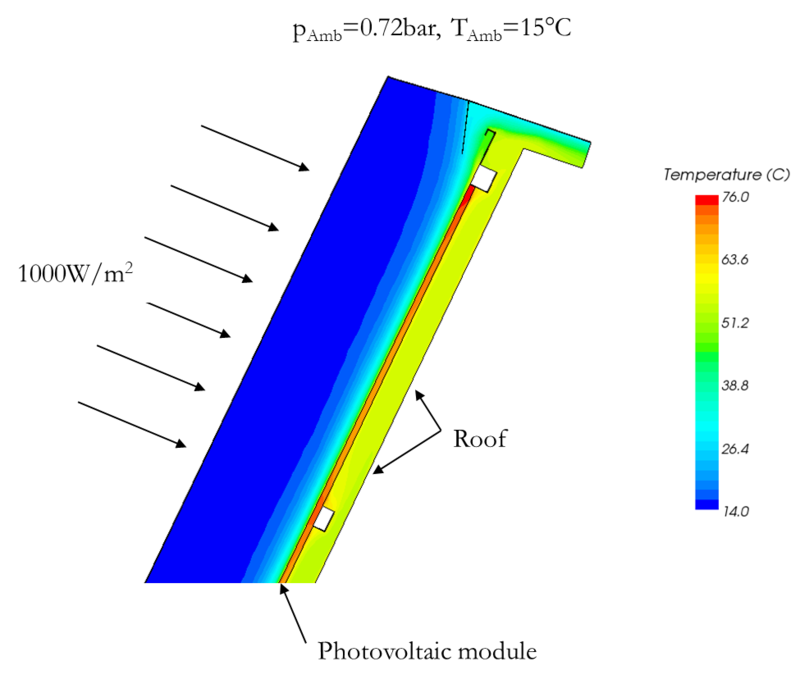 The following Example shows the simulation of photovoltaic panel. The scope of the work was to analyse temperature distribution under full solar radiation. It is well known that power output decreases with increasing panel temperature. The solar radiation intensity was assumed to be 1000 W/m2. 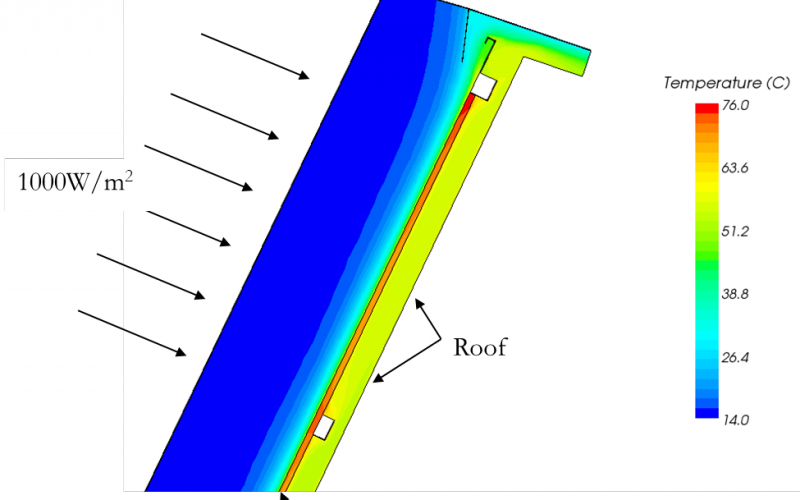 In the figure the temperature of the panel the surrounding air and the air in the gap between panel and roof of the building can be seen.